The Chiko Roll, owned by Simplot, is an icon of 70s Australia. An item on the menu of every chip shop across the country but it's fallen out of favour. In what is one of the most impressive bursts of long form copywriting and jingle-art in recent times, Cummins&Partners is reviving Chiko Roll. The ads rolled out over the weekend during Fox Sports Retro Round. And there are a limited number of branded Chiko-Roll handy-hand holders available. To mechanic to claim one is suitably old-school. 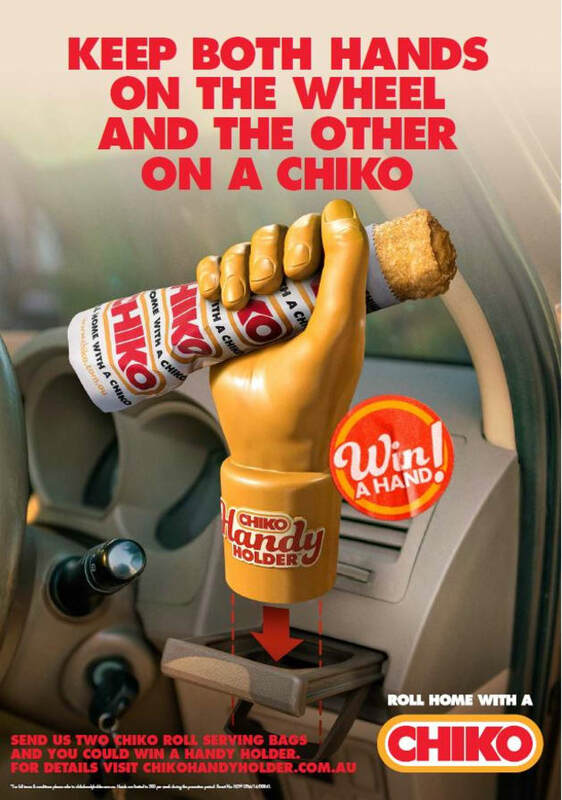 Fans need to collect two Chiko Roll bags from chip shop purchases and send them in via the post to be a lucky recipient if a branded hand. Cummins&Partners brand detective James Bennett says: "Chiko Rolls were the original one-handed snack. But people needed a reminder of the best occasion to enjoy them. We observed people’s behaviour on the way home from the Fish & Chip shop and observed that 86.7% of Aussies stole a chip from the bag before getting home. This was our opportunity for Chiko Roll. This one-handed snack would become the perfect meal before the meal." Cummins&Partners ECD Ben Couzens adds that given the noise in the modern media landscape it was important to create a "radical approach to cut through". "We needed a jingle. And a promotion that enabled more Aussies to enjoy a Chiko Roll more often,” he says. The script as written, produced and performed by Terry “Tezzo” Mann, a digital producer at the agency.